The State of Victoria received a bill extending poker licenses until 2042. This legislation has already been through the state parliament. However, local politicians did make efforts to prevent this bill from being passed, but it’s clear that their efforts were in vain. The latest bill that extends the poker machine licenses in Victoria was approved on the 1st of December 2017. As mentioned before, part of the Members of the Parliament did try to delay the passing of this bill during the Crown Resorts investigations. A few months back, Crown Resorts was accused of deliberately tampering with some poker machines and concealing unlawful practices. This new bill is backed up by the AGR (Alliance of Gambling Reform). 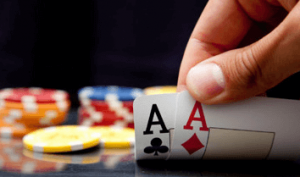 According to an organisation that has been pushing for certain limits to be introduced on poker, the extension of poker licenses means that the casino gambling industry will be locked by AUD$70 billion. On the same note, AGR reported that the extension of the licenses would result in a AU$70 billion loss over the coming twenty to twenty-five years. Regardless of the fact that the bill extends the poker licenses to 2042, its other hidden purpose is to reduce the number of poker machines that are available in the state of Victoria. This new legislation basically blocks the addition of new poker machines. To add on, under this new law, local poker players will have to face daily and weekly withdrawal limits. Also, poker gambling adverts will be restrained in all public places. The current poker licenses are only legal until the end of August in 2022. For a while now, some campaigners have been trying to convince the state’s government to reduce the maximum bet on poker machines from AU$5 to AUD$1.